Following the official press release of the seed-round and the great coverage in MIT Tech Review, we are proudly announcing our second investment and highly promising addition to our portfolio: Kebotix. Kebotix has created a fully autonomous material science discovery lab. It combines machine learning algorithms to model molecular structures with an autonomous robotics lab that synthesizes, tests and feeds back the results to the algorithms. By applying deep learning, the algorithms adapt to the results from the lab, creating a ‘closed loop’ for fast learning and simulation. In fact, an early demonstration of the tech platform, which was sold before Kebotix was incubated, was able to reduce the development time of OLED materials from previously 7 to 1.5 years. The platform thus shows immense potential for developing new green materials which our world desperately needs fast (e.g. Nature article)! The discovery process of materials is mostly still following a heuristic, step-by-step procedure: The researcher has some pre-defined hypotheses or intuition about certain combination on a molecular level. What follows is limited testing of those specific molecular combinations with a discovery cycle normally stretching over several years. Considering that the size of chemical space — all possible chemically active molecular combinations — is in the order of 10⁶⁰ molecules, the task of mapping all such combinations seems too exhaustive to solve with the current (human) approach. By using a technology named inverse design, Kebotix sets up their algorithms to look for optimal molecular combinations based on desired properties (e.g. toxicity, solubility, activity). The ‘inverse’ connotation denotes the difference from the traditional heuristic approach, which would first test these properties after the process of conceptualizing and synthesizing such combinations. With the inverse process, the machine learning approach performs much more systematic searches across the combinatorial space and with optimizing strategies are able to simulate likely molecular properties before physical testing (see figure below). For the more techy ones, Kebotix uses several leading machine learning techniques: Variational Auto-x Encoders (VAEs), Generative Adversarial Networks (GANs), and reinforcement learning. For more details, this recent Science article explains the methods and process. While one has seen several inverse-design propositions within drug discovery (notable startups are BenevolentBio, Zymergen, Atomwise, a.o. ), there are only very few trying to do the same for materials science. There has been some advances on automating the vet lab testing. But none have yet to develop an autonomous or ‘self-driving’-lab in materials science that exploits the closed learning loop described above. Several of the co-founders of Kebotix have developed an open source architecture (‘ChemOS’) to run and synchronize such autonomous labs with machine learning algorithms. Thus, the field is moving away from automated to autonomous discovery, which is facilitating novel discoveries at an increasing pace. For a description of the ChemOS software for autonomous labs, see this recent research article. 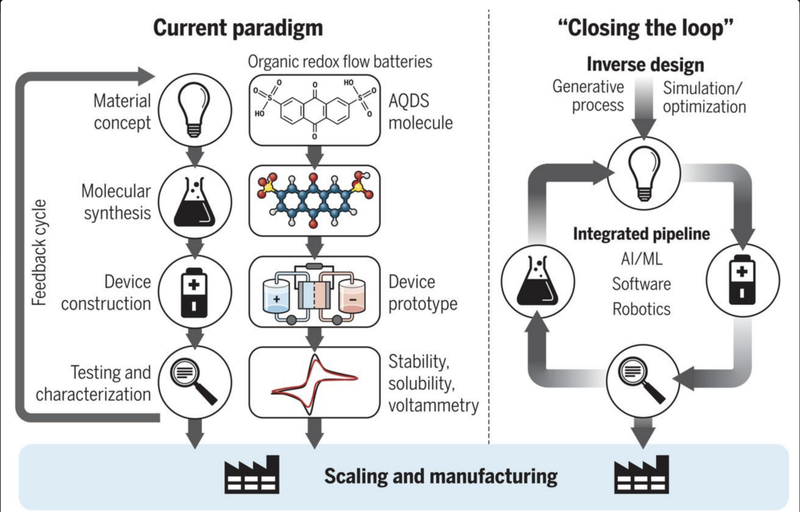 The closed loop model is unique within materials science prediction and thus has a clear commercialization potential: Chemical, pharmaceutical and other materials producers on molecular level are all interested in reducing time to market in R&D. R&D spending of chemical materials is around $50bn yearly — while the software spending remains a very low share (<1%), with innovation in the discovery process towards algorithms and machine learning as seen in drug discovery, the market is likely to massively increase in the next years. Kebotix offers external companies access to its ‘ChemOS’ as a service, while ensuring anonymity of data. One could say, that while Labster is making virtual learning in labs more easily accessible, Kebotix’ remotely accessible lab is making actual experiments in a world-leading lab environment accessible. The value add by more efficient and faster time to discovery is obvious to both commercial clients and society (we need to speed up development of green materials, better batteries, degradables, etc.). Further, the revenue model of recurrently renting out access to a platform with relatively minor scalability issues (only the remote robotics labs will need to increase according to demand) is highly attractive. Considering the longer term, however, it could also make sense for Kebotix to directly take advantage of the possible massive IP generation of such material discovery potential in its lab — they could by themselves develop novel materials inhouse to license and sell directly. Further, the materials science discovery market is up for grabs. While we’ve seen highly innovative models in drug discovery (BenevolentBio, Zymergen, a.o. ), materials science have largely remained overlooked. Kebotix, with its strong team, is more than capable to take a leading position here. Team of Kebotix (left to right): Prof. Alán Aspuru-Guzik, Dr. Dennis Sheberla, Dr. Jill Becker, Dr. Semion Saikin, Dr. Christoph Kreisbeck. The team is comprised of top-notch researchers from Harvard within chemistry, physics, machine learning and CS. (We are very fond of such interdisciplinary teams tackling a problem together from diverse perspectives!) The research group from which the team spun-off has long been considered to be leading within molecular chemistry. Jill, CEO with a PhD in chemistry and a previous entrepreneur, has a rare combination of technical wit and commercial intuition, which immediately convinced us the first time we encountered her. We were the first investor in the company and are thrilled to continue observing the great work of the team. The latest proof being the closing of an oversubscribed round in July with investors such as Baidu Ventures & One Way Ventures. Considering the strong impact potential of the platform with regards to new materials, this one should be on everyone’s radar! 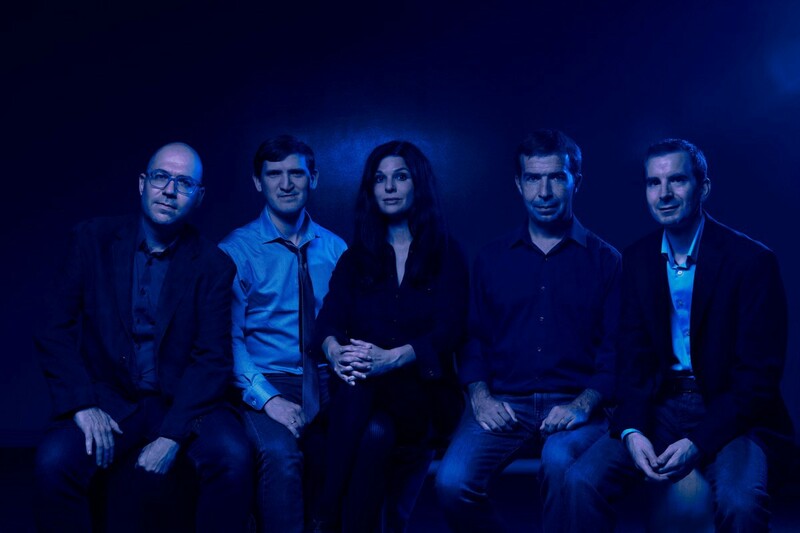 Propagator Ventures is an early-stage deep tech VC with strong ties to science. We like ML/AI, quantum computing, robotics, new materials & encryption.